Once an Apple Cider Vinegar Factory owned by Henry Allen, now a charming single family residence that retains its sense of history. The overall feel of the home is one of warmth! Spacious eat-in kitchen with original wood beams, Satillio Terra Cotta tile floors, center island and a walk in pantry room. A family room sits aside. Up the stairs to the main level find a large living room with a warming fireplace, knotty pine wide planked hardwood floors throughout the level and doors out to the back yard. Two bedrooms and a shared hall bath round out this level. Up to the third level are two more bedrooms each with their own character and a shared hall bath here. Outside behind the detached two car garage, find a planting garden to satisfy the green thumb in you. Walk up to the side yard and enjoy the patio, lawn and perennial garden. 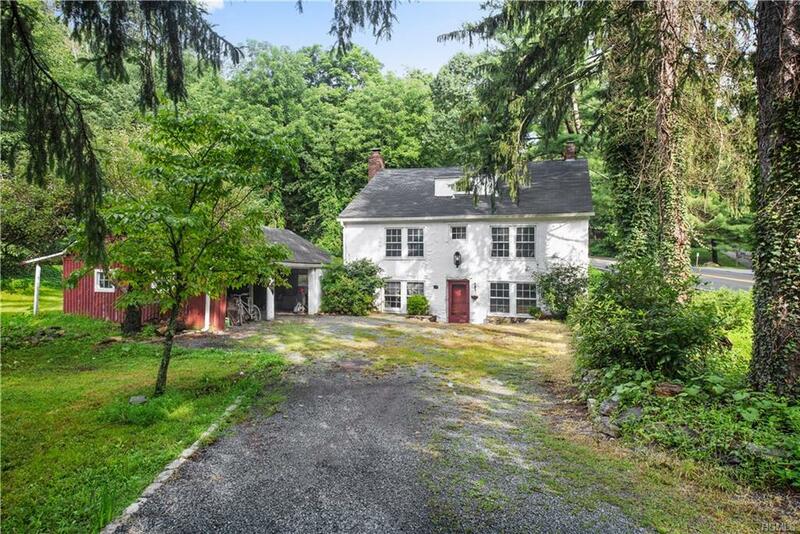 Easy access to both the Saw Mill and Taconic Pkwy’s and Metro North for commuting. Chappaqua Schools!